Over the past 20 years, Thermacell has protected millions of people from the harmful effects of insects. Thermacell provides zone mosquito protection that keeps mosquitoes up to 15 ft away, via a revolutionary new technology. Thermacell’s zone repellent technology eliminates the need for messy lotions or sprays, so you and your family are free to enjoy the outdoors, without worrying about mosquitoes or the harm they may cause. 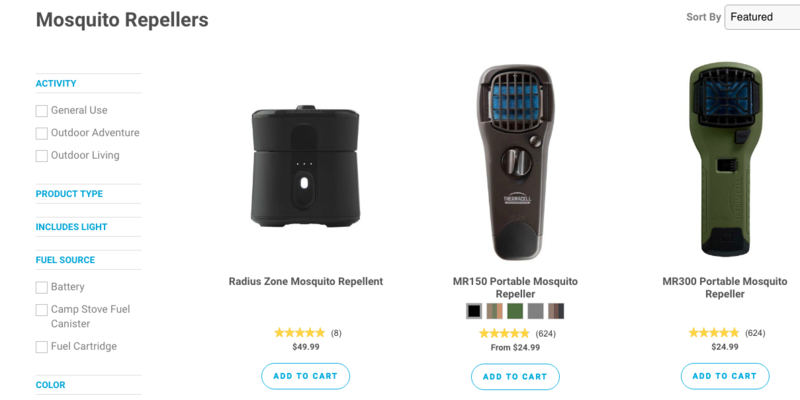 Thermacell repellent devices are either powered by a small fuel cartridge or a rechargeable battery, providing effective and efficient scent-free mosquito protection. 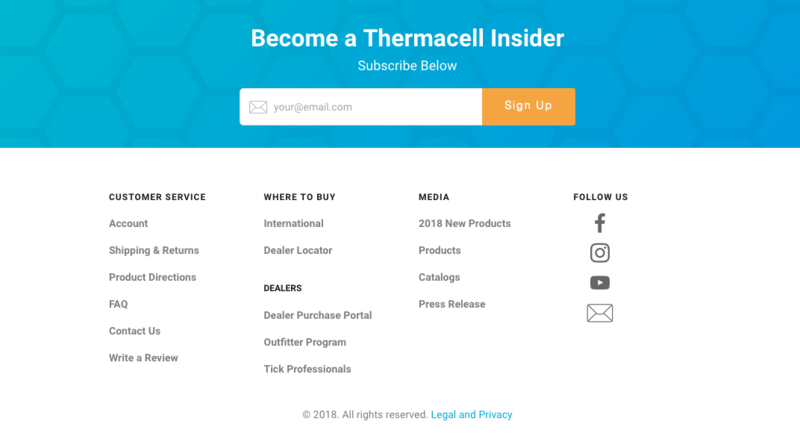 Thermacell had been through multiple expensive website projects and was left with a frustrating multi platform site that was not well designed for their growing eCommerce business. They wanted a modern intuitive site that reflected their amazing technology but could also handle the complex needs of today's eCommerce world. They had a need to integrate with many services like Bazaarvoice, Netsuite, and a store locator tool. They also had many unique content pages that needed to be incorporated without disrupting the eCommerce portion of the site.